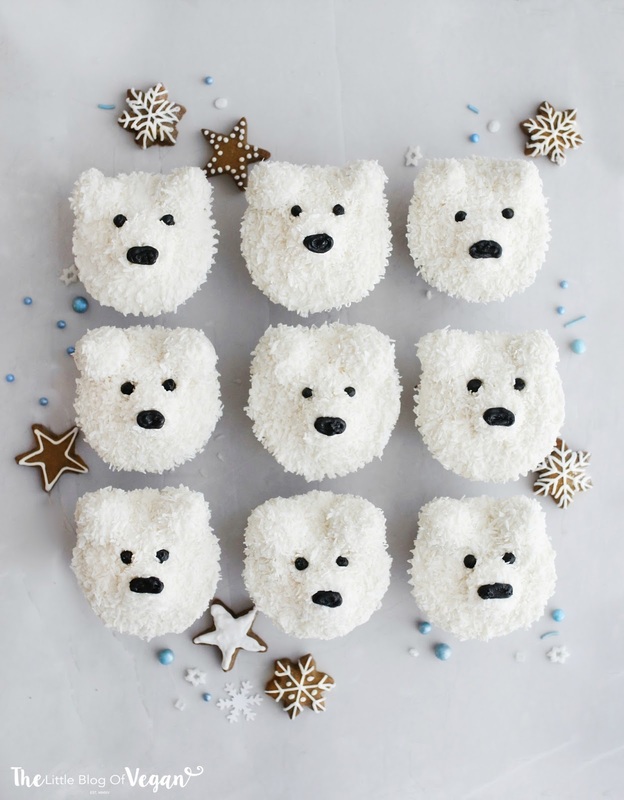 I've created the most adorable, festive cupcakes which look like polar bears! 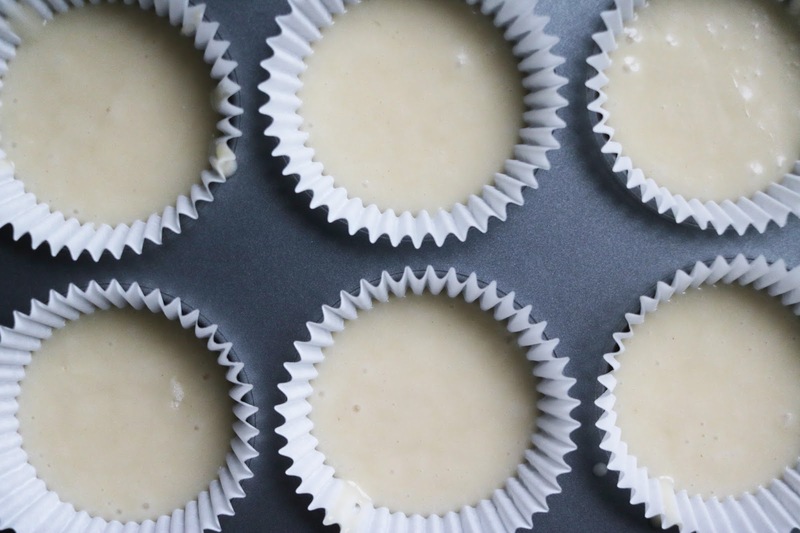 These cakes are easy to make and are really effective. They're 100% vegan. 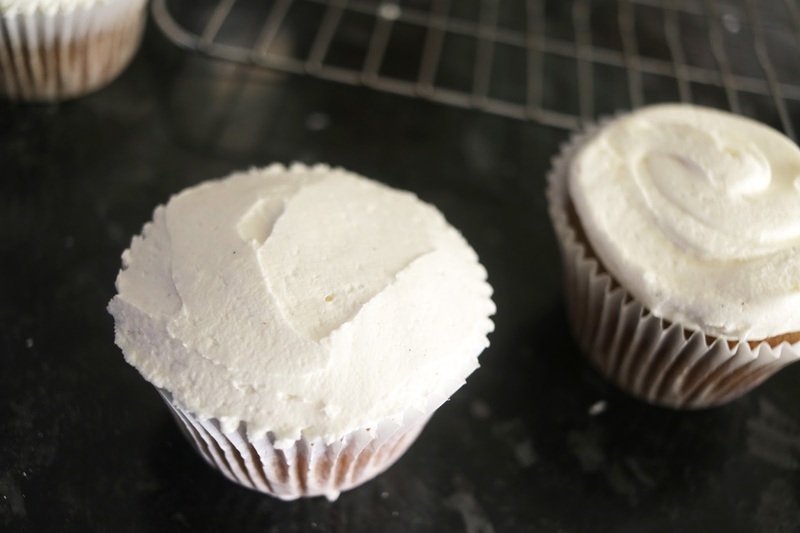 The cupcakes are a vanilla cake, topped with a thick & creamy vanilla buttercream coated in coconut with royal icing details. 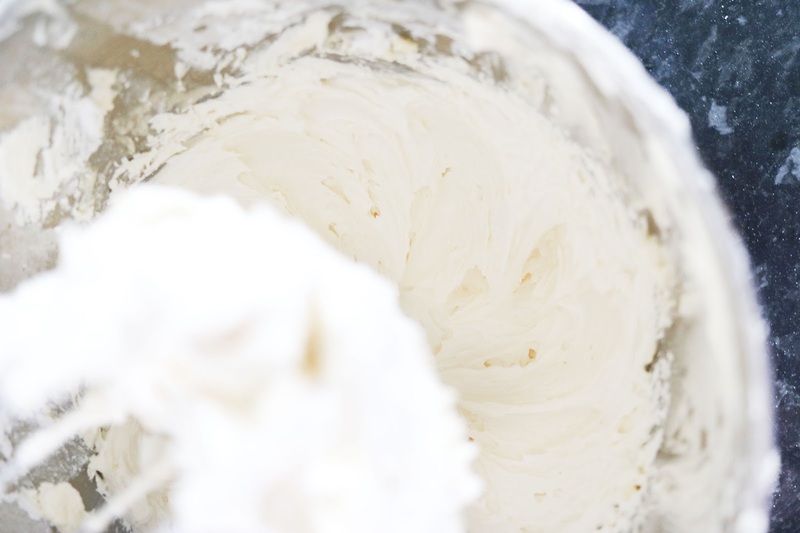 The cake is spongy and light along with the tasty buttercream....YUM!! They are the perfect accompaniment to a toasty, warm Christmas meal, to serve at Christmas events/parties and even enjoy with the hot chocolate (dairy-free of course) for a cosy evening. I love Polar bears and want to share the importance of being aware of climate change and the impact it's having on the environment and to these stunning animals. To read more, please check out this article from the National Geographic. 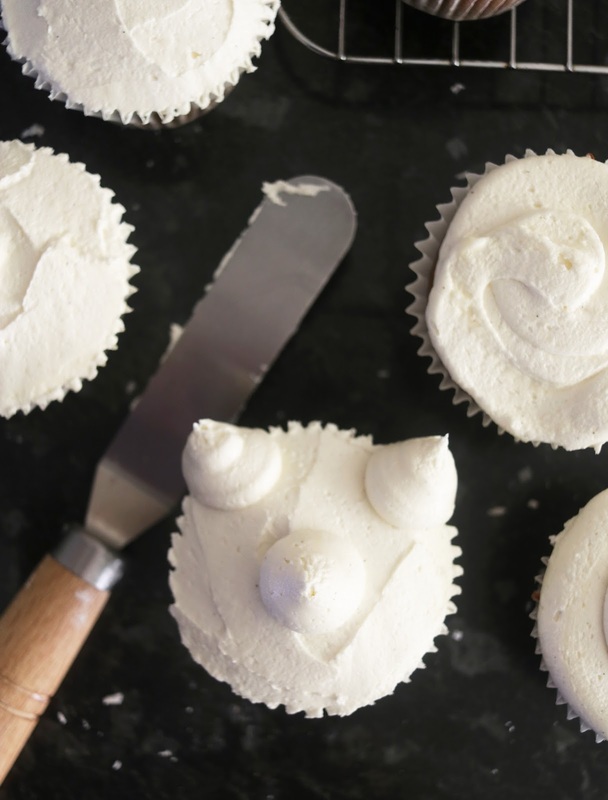 Step 4- Pipe a low swirl of buttercream onto each cupcake and level with a of-set spatula or knife. Step 5- Pipe 2 little bulbs of frosting for ears and 1 for the nose, as seen in the photo below. 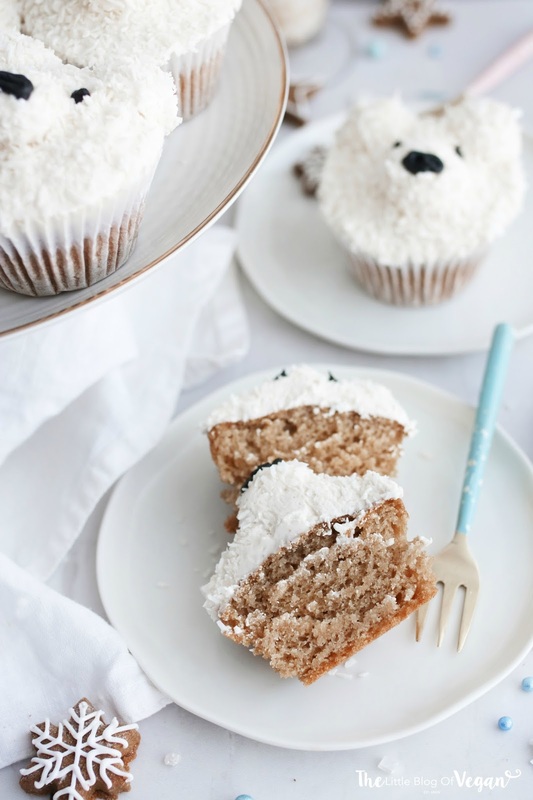 Step 6- Carefully dip or sprinkle desiccated coconut all over the cupcake, including the ears. Step 7- Add eyes and a nose using black royal icing. 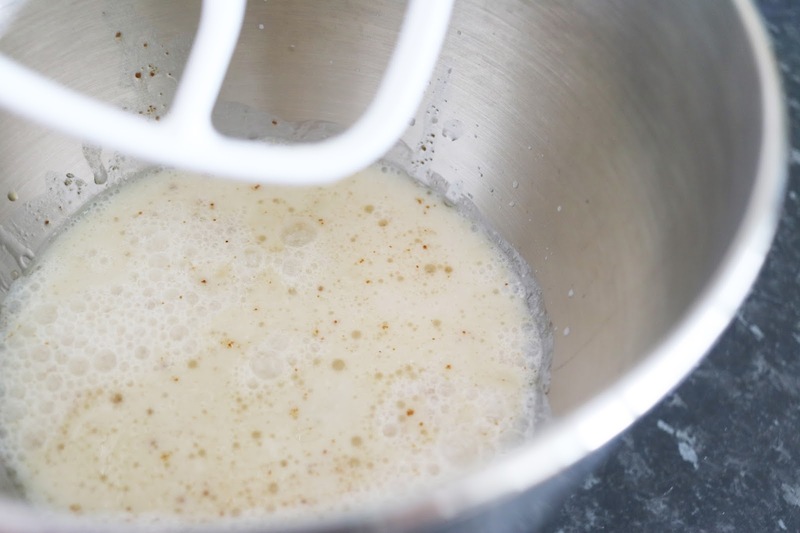 Get my recipe here. You could always use chocolate, chocolate chips, sprinkles etc. The National Geographic article you linked to is heart-breaking. Thanks for sharing it, we desperately need more awareness about climate change. Don't know if you've watched the latest Blue Planet episode... absolutely depressing. 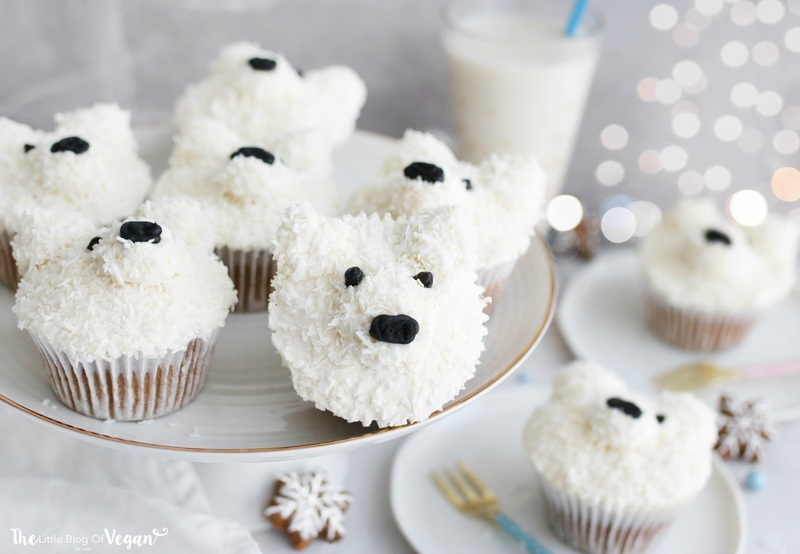 These cupcakes are so stinking cute. I've seen that Nat Geo article about the poor polar bear all over and its so sad. Aww! 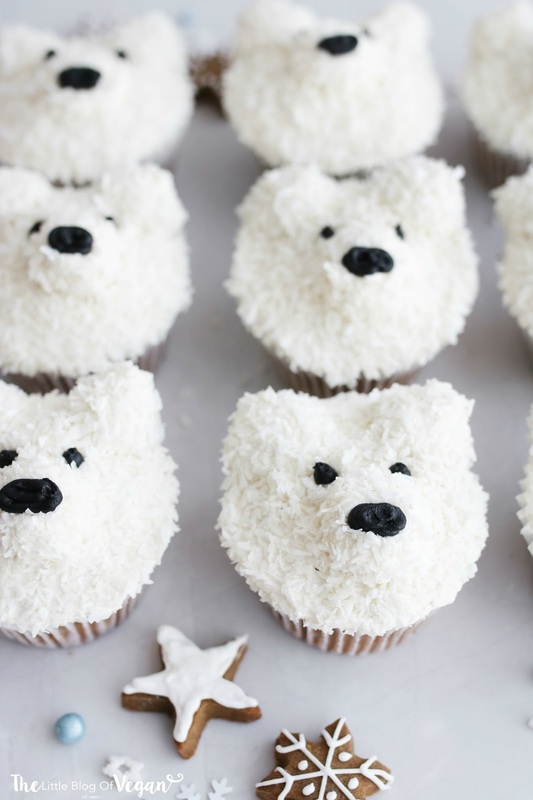 These are some of the cutest cupcakes I have ever seen! I love them and how simple they are. Oh, these are so cute. I know for a fact that mine will not turn out as pretty as yours, but I also know they are going to make my company this weekend smile!